Upcoming iOS title shares similarities with quirky sci-fi adventure, but looks ten times better. A little over a decade ago, I went through an experimental phase where games that worked with standard controllers simply weren't good enough. Instead, I craved unconventional experiences that pushed the medium to potentially exciting heights, be it motion gaming with Sony's EyeToy, or in Konami's case, voice recognition with Lifeline, a PlayStation 2 survival horror adventure that flatlined from a quality perspective, despite achieving relatively impressive sales. 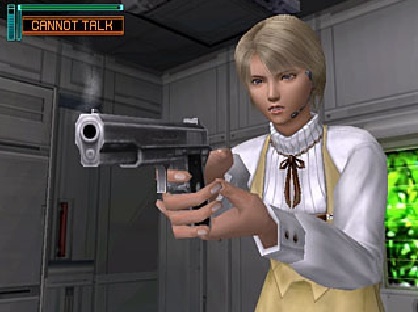 Released in Japan and the U.S. in 2003 and 2004, respectively, the game takes place inside a space station, where aliens attack and proceed to slaughter every human save you, your girlfriend and a mysterious woman named Rio. Turns out, you're trapped in the station's command center, and can see everything using cameras. With Rio in your sights, it's your job to communicate via headset, instructing her where to go and when to fight/flee. Great idea, just poorly executed. Rio could only recognize a limited set of commands, the voice detection was wonky and the gameplay was the usual find key/open door stuff seen in previous titles. The game was disappointing, to say the least. With this in mind, I couldn't help but think of Lifeline the moment the developers at Camouflaj announced Republique, a new iPhone and iPad title that in theory works the same way, but with a touchscreen instead of microphone. This time, you help a young woman named Hope escape a 1984-inspired nation in which its citizens fall under the watchful eyes of Big Brother. 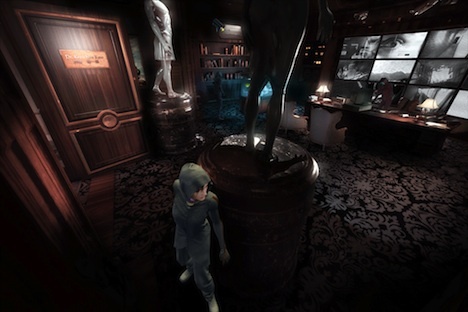 To that end, you'll tell Hope when to hide to avoid detection while completing various tasks to push the story forward, be it unlocking a door or hacking computer. Thus far, it looks incredible. More importantly, it builds off Lifeline's best attributes while offering an experience that seems more user-friendly. For now, it remains to be seen whether the developers used Konami's old and nearly forgotten game for inspiration. Regardless, it's great to see the concept reimagined for a new generation. Just don't make me scream into my iPad.